BBC Sherlock Fan Forum - Serving Sherlockians since February 2012 » Can you help me find a fic? » Can you help me find a fic? Can you help me find a fic? I thought it might be useful with a thread like this. If you have ever read a fic and want to find it again, see if someone else here on the forum can help you out. I have such a problem right now. I read a fic about a year ago or so, and would love to read it again, but I can't remember it's title or author. It was Johnlock (of course) where Sherlock was held prisoner by some group or other (can't remember who), and Mycroft and John managed to get him out. He was found in an almost dungeon-like place, with no hair and thin as a skeleton. After he was released from hospital, Sherlock wasn't ready to move back to 221b, so he moved alone out to some cottage (Scotland, perhaps? Not sure). 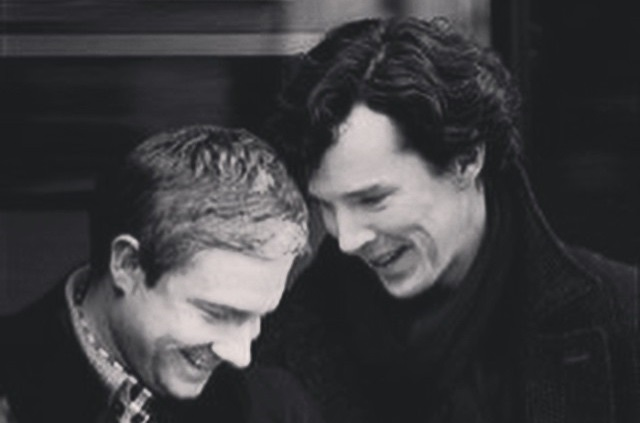 John visited him several times, and Johnlock grew from there. Re: Can you help me find a fic? Great idea for a thread, Vhanja. And this rings a bell. I will have a look and keep thinking about it. I remember coming across something that I didn't read, but I saw the synopsis in my search results. It was about Sherlock investigating a case of someone who shaved the heads of his victims. But I remember getting the impression that it was going to be more about the aftermath than the actual case (though I could be wrong). I can't remember if it was on AO3 or another site. No, the shaving wasn't particularly relevant for the story, it was just a detail I remembered. 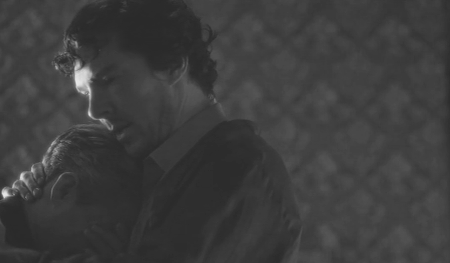 The main part of the story is the aftermath with Sherlock's mental recovery and him and John growing closer. Sorry, I have not found it yet but I will keep thinking. I think I read it myself, Chryse is an amazing author. If this is not right, please tell me, then we will do further research. Yes, there it is! Thanks a lot! Bookmarked again, will greatly enjoy a reread. Wow! I'm impressed you were able to find it so quickly! Well, not me, this Tumblr fanfic enthusiast. They do regular recommendations so I thought they might know it. I have searched for months for a particular Johnlock story that I read or started to read and lost. I am hoping that this is the right place to ask for help to find it. I remember John came home frustrated and maybe embarrassed after a date. Sherlock deduced that the date didn't go well and somehow it comes out that the woman said John was a bad kisser. Sherlock implies maybe John's date was right and John decides to prove him wrong. I'm sorry, it doesn't ring a bell to me.